If every celebrity had the grace and charm of Alfonso Ribeiro, the world would be a nicer place. 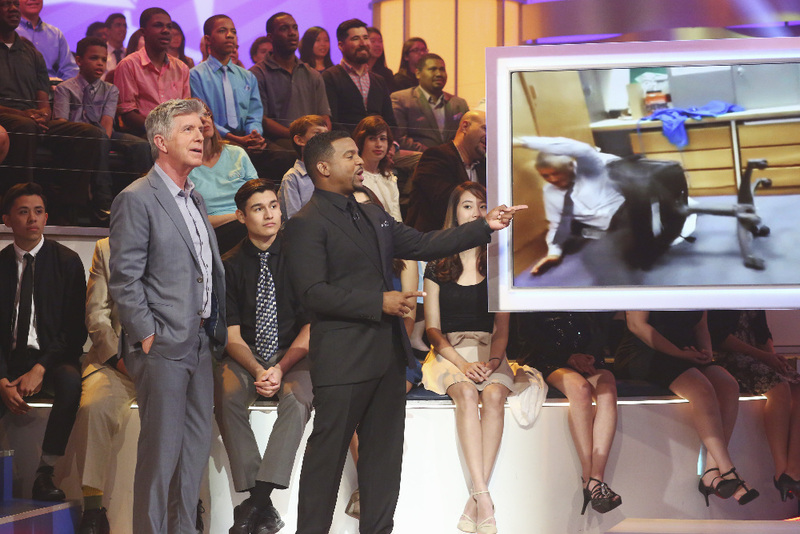 It may be season 26 on America’s Funniest Home Videos, but it’s the first for new host Alfonso who wraps it up this Sunday with a special show featuring the season’s best videos AND a special appearance by Tom Bergeron (former host of AFV and current host of Dancing With the Stars). If that wasn’t enough, the grand prize winner of season 26 gets an all-expense paid trip to both Walt Disney World AND the new Shanghai Disney Resort! Despite his busy schedule, Alfonso took time to share with us a few thoughts about life after year 1. Thanks so much, Alfonso for giving me the chance to talk with you today. I was fortunate enough to be able to interview you as the season began, so I feel doubly-blessed to be able to kind of wrap up the season with you at the end. I read this was not your first go ‘round of being the host of a show. How has this experience differed from those? Your Big Break, Spell-Mageddon, Catch 21, I’ve been a host for about a decade. What I really love about AFV is simply that being at the end of the season I’ve gotten to understand how to be “me” I don’t need so much energy and push really hard. I’ve gotten comfortable and learned to relax and that’s made a huge difference even from the beginning of the show. It allows everyone else around me to feel relaxed too. You said in an interview that the highlight of the year for you was coming down those steps for the first time, but the show IS called AFV. What was the funniest moment for you this year? Don’t know if there is just one funny moment. I have a hard time with that question. I don’t really think of things in that way. Now if there was a coolest moment, there was a segment where I spoke to my son as if he was at home. After doing that and seeing it and watching it with him, THAT was super special. The impact of it was really cool. 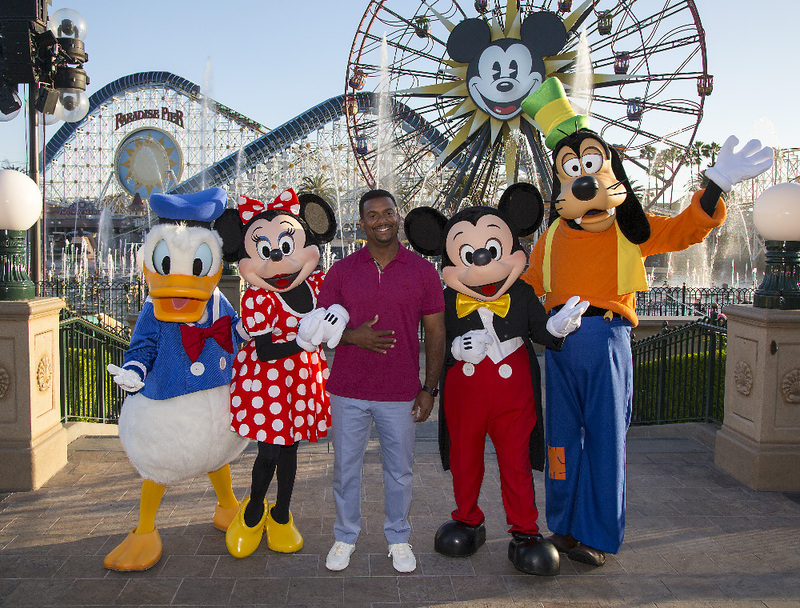 AMERICA’S FUNNIEST VIDEOS -“Episode 2622” – Special guests Mickey Mouse, Minnie Mouse, Goofy and Donald Duck join Alfonso as he announces the grand prize winner who will receive an unforgettable vacation for six to the Walt Disney World(r) Resort in Florida and the new Shanghai Disney(r) Resort in China opening in June. I have to ask. I read your wife’s blog and found out you stayed in the Dream Suite the same weekend you filmed the Disney footage for the season finale. What was that like?! Anything in particular that stands out? The Dream Suite is simply the coolest thing ever. There’s nothing cooler than that if you’re a Disney fan. When you stay in the Dream suite you are able to go around the park when nobody is there. We took a ton of pictures and got to walk down Main Street without a soul on it. We invited Steve Young, the NFL quarterback, and his family to come and hang out with us. You can only have 6 people sleep overnight in the room and to see the park while it was closed. The Dream Suite was above Pirates of the Caribbean, so we were in the suite while the park was open, hanging out while on the balcony and just watching everybody. It was so cool. Your wife mentioned making “No Bake Paleo Cookies.” My wife is following the Paleo lifestyle so I had to ask if you and your family are doing so also and what that’s like. She loves trying new things that people talk about that are really healthy and force me to eat well. There’s nothing specific that we do…I’ve found that what works for me is just simply balance. For instance, I saw this beautiful chocolate chip cookie. It was gorgeous, so what I did was take three bites and that’s it. At the end of the day when you want to eat something that’s good, you have a taste. Not the whole thing. A taste. Thanks so much for the time Alfonso and blessings to you and your family as you head into season 2. I hope you will have another stellar year! Thank you. It was great talking to you again. 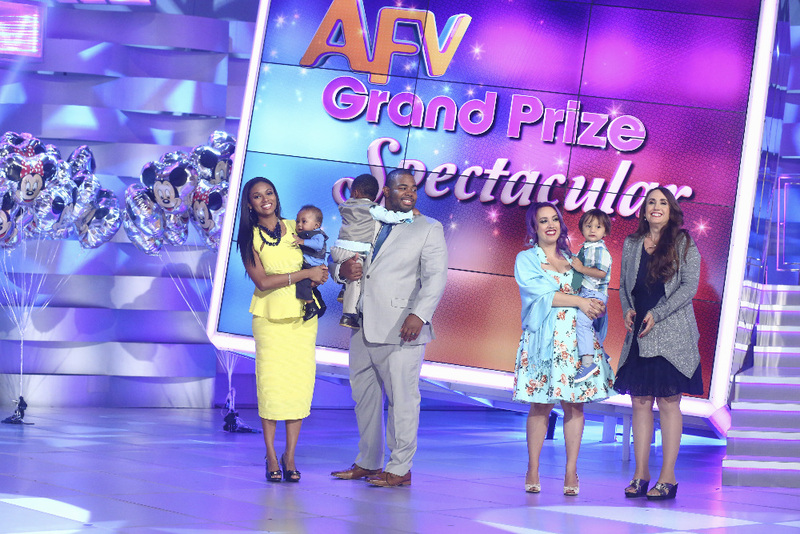 Make sure to tune in this Sunday at 7pm for the season finale of AFV and find out who wins the Grand Prize (and of course see Alfonso and Tom).